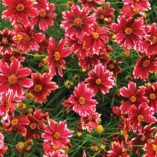 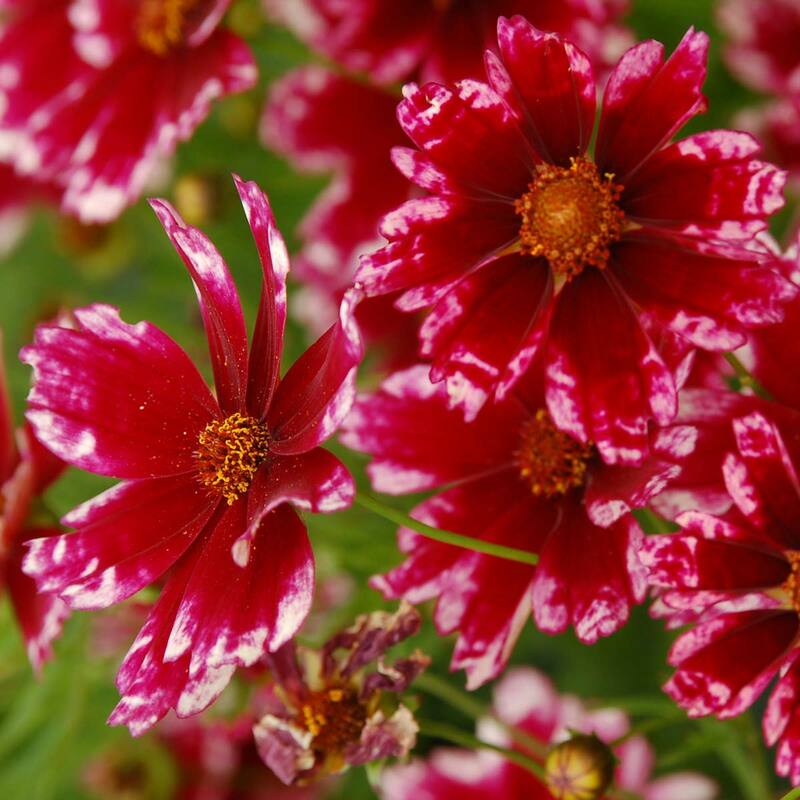 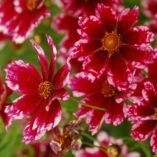 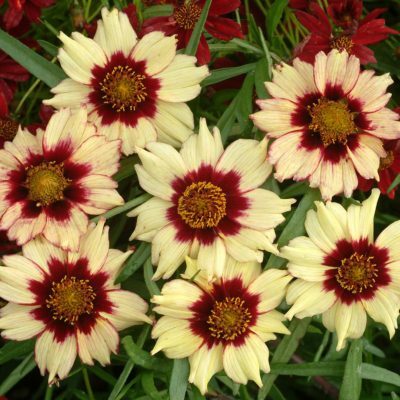 Coreopsis ‘Cranberry Ice’ | TERRA NOVA® Nurseries, Inc. 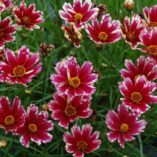 Compact habit with continuous bloom of cranberry colored flowers with a white edge. Blooms all summer. 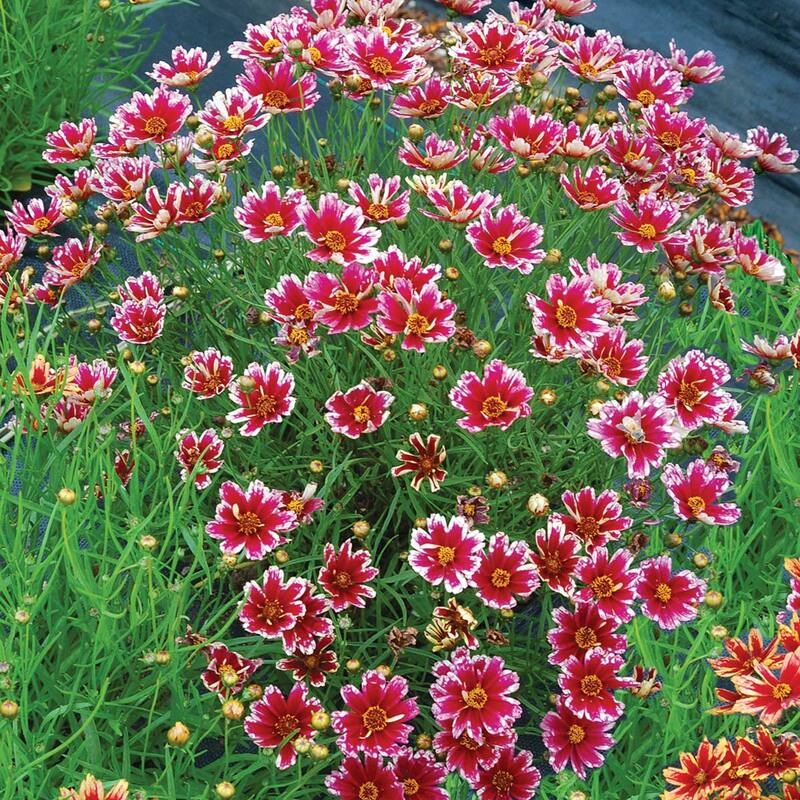 Lovely, informal mounding habit, lends itself to containers or beds. 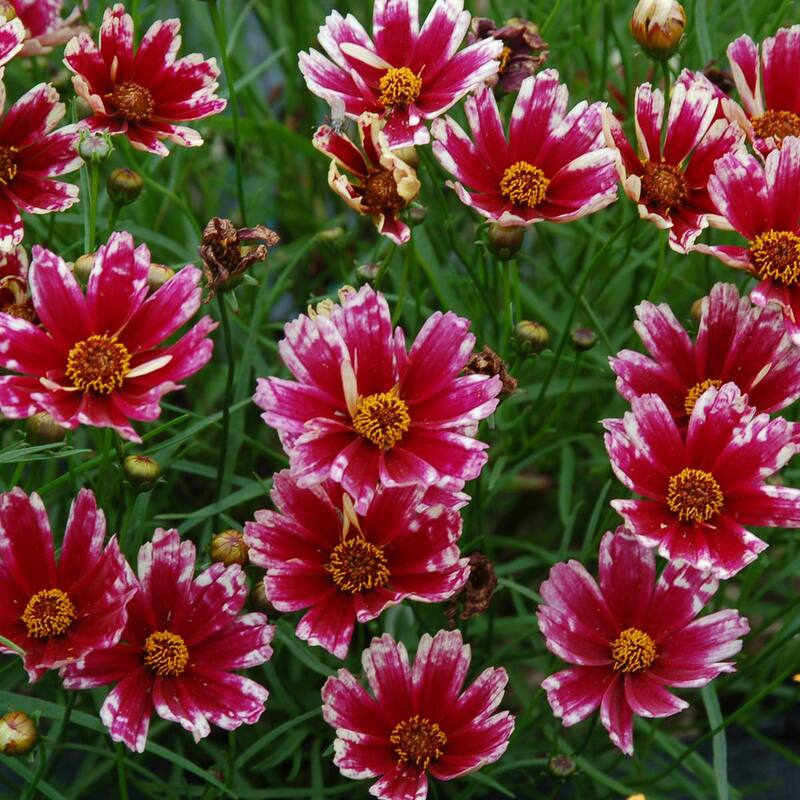 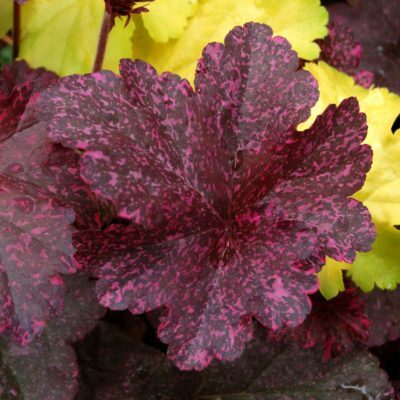 8" / 20" / 10"
It has cranberry color flowers with white edge on a plant with a low compact habit. 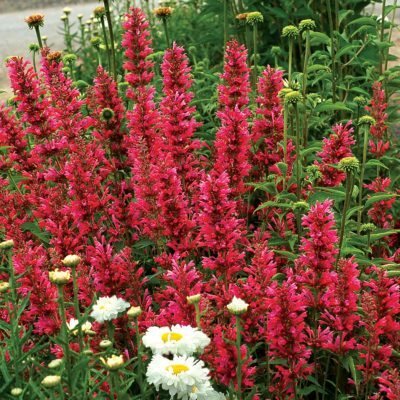 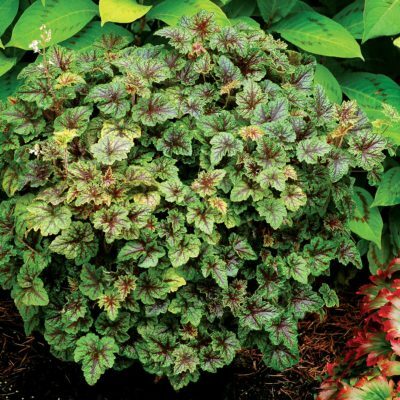 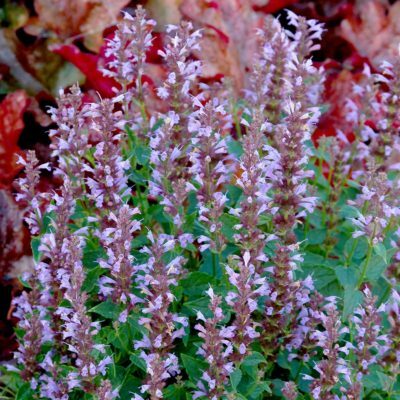 Use in mixed beds and borders, as amass planting, accent, or a container plant. 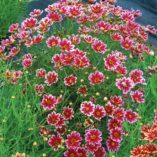 Easy to grow and doesn't seed around. 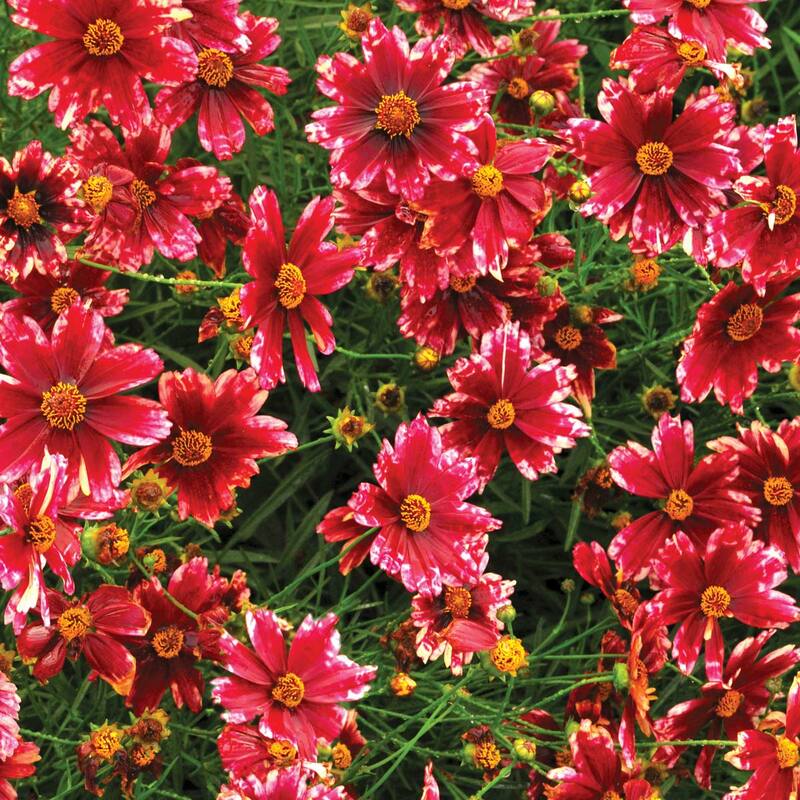 Needs to have a well established root system to overwinter. 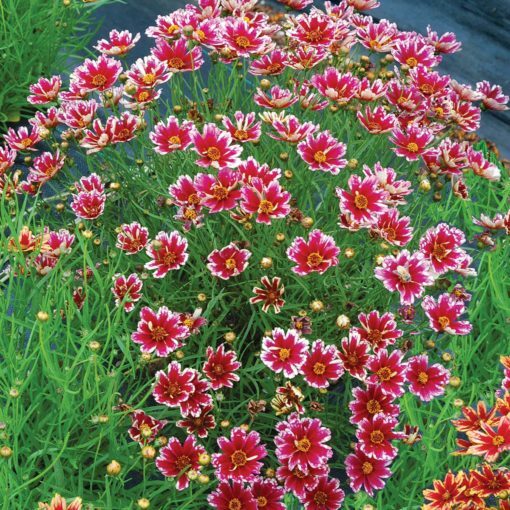 Needs good winter drainage.